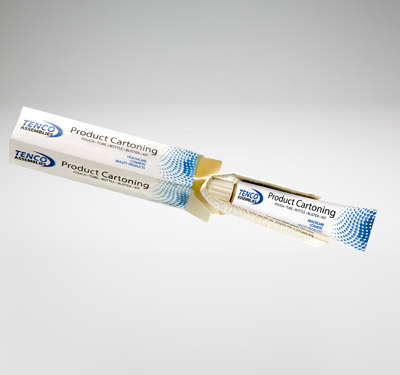 We have the capability to provide contract packaging cartoning services for a wide variety of product sizes and types. This includes retail, healthcare, cosmetic, and electronic products, as well as prescription drug products. 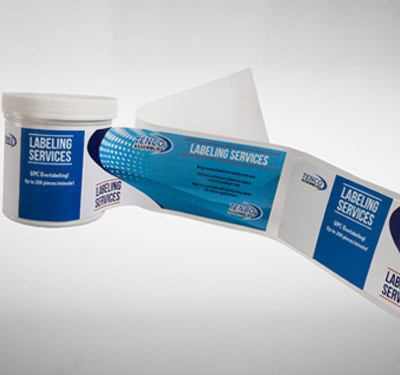 Our state-of-the-art labeling equipment can be custom configured to provide a wide range of labeling solutions. We have 5 labeling lines, with the ability to apply one, two or three labels simultaneously at speeds up to 200 pieces per minute. We provide high speed blister carding for a range of card sizes. Using our 16 station Alloyd carousel sealer, we can produce up to 50,000 cards per day. If needed, our equipment can handle single, double or foldover cards as well as leaflet insertion. 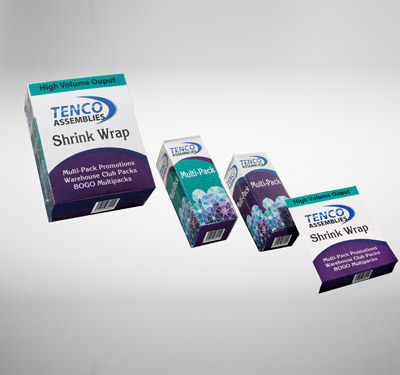 We have a set of specialized capabilities to provide shrink wrap solutions. Our high-speed shrink wrap lines allow us to accomodate a range of projects, from account specific low-volume orders, up to a daily output of 50,000 shrink wrapped units a day to run volumes into the millions of pieces. 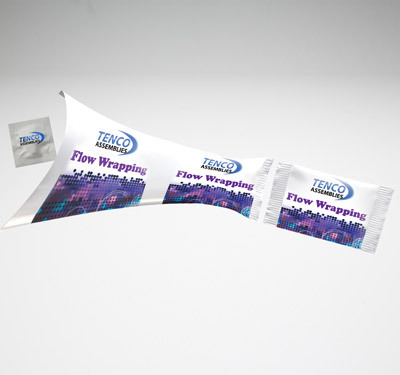 Flow wrapping is also called fin-seal wrapping because it produces a "fin" on the bottom of the package. The most common flow wrapped items are baseball cards, candy bars, and pre-packaged plastic eating utensils. 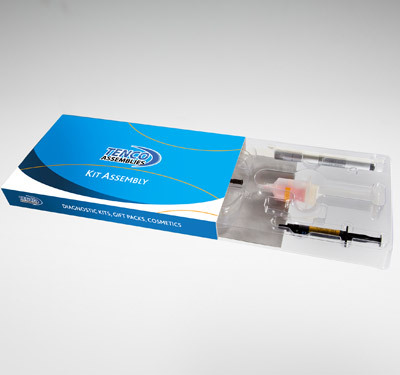 Our commitment to quality and ability to customize our assembly line operations to your needs, enables us to provide you with an optimized kit assembly solutions. 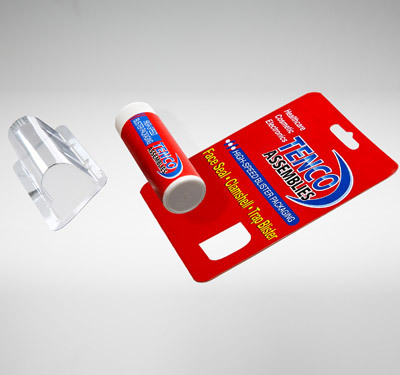 Companies that use Tenco Assemblies products.